Biotech marketing, advertising and event managers can take advantage of a free Biotech Marketing Event Database sponsored by Biotechnology Calendar, Inc. If you are planning a biotech marketing event or researching existing biotech and life science marketing events, you should take advantage of our event calendar. You can post your events at our Global Science Meetings page, free of charge. Moreover, registration is unnecessary and all events will be approved by our editing staff prior to publication. 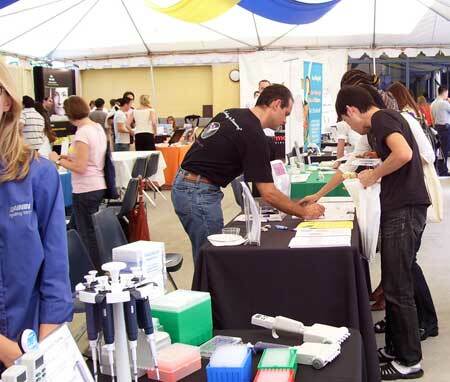 Take advantage of this FREE resource and generate interest for your biotech event! In addition, submitting and publishing your events for free, each day our staff selects up to 5 events to spotlight on our research blog (Spotlight on Science Events). These events will be promoted to: our research groups, our research twitter accounts, and our linked in accounts. For your convenience we will provide space to allow you to comment on your events. So, if interested in visiting our Global Science Meetings Data Base please follow this link.